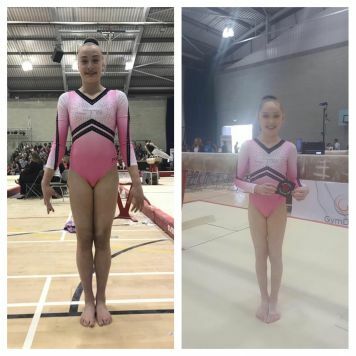 Over the weekend of the 8th & 9th April 2017, we had Mia and Leah representing the club in the English Championships held at Loughborough. Leah started off the competition on the Saturday in the senior ranks and finished in an overall position of 19th out of a possible 50, superb result for Leah! Mia then rounded off the competition on the Sunday competing on the junior section and she finished in an overall position of 15th! Mia also received her England colours for representation of our country, another fantastic achievement for the club! The girls are now back in the gym working new skills ready for the next competition season!